This ancient temple is hidden in the dense woods at the top of a peak 1337 m above sea level. The temple is built in the traditional Kerala style of architecture. Visitors are allowed here only on the Chithra Pournami festival day. The peak commands a panoramic view of the eastern slopes of the ghats and some hill villages of Tamil Nadu. 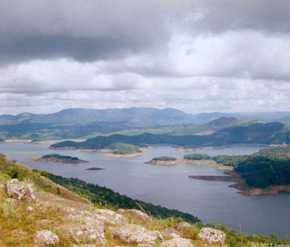 Permission to visit the area can be obtained from the Wildlife Warden, Thekkady. Ph: 04869 222027. The winding journey to this hill town, along the Periyar River, offers a stunning view of the rolling hills draped in lush greenery. 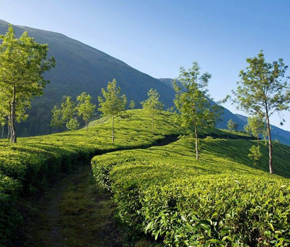 Velvet lawns, rare flora and fauna add to the beauty of Pullumedu, which can be accessed only by jeep. The famous Sree Ayyappa Temple at Sabarimala and the Makara Jyothi illuminations at the shrine are visible from here. Since it is part of the restricted forest zone, special permission to visit Pullumedu has to be obtained from the Wildlife Preservation Officer, Thekkady Ph: 222027 or the Range Officer, Vallakkadavu. Ph: 252515. Tribal Settlements in Peermede: The Orali, Malapandaram and Malayarayan tribes live in the hills of Peermede. 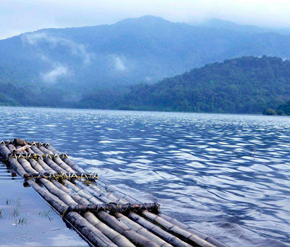 The main tribal settlement here is Plakkathadam, which is also known for its trekking trails. 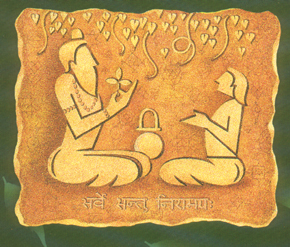 A well-established Ayurvedic Hospital, Sahyadri, managed by the Peermede Development Society in Pallikunnu, is well known for its curative and rejuvenating treatment packages. The centre has well-appointed treatment accommodation facilities, a unit for manufacturing Ayurvedic medicines and a well-maintained raw drugs museum where more than 200 varieties of rare and endangered herbs are preserved. More than 400 herbs used for medicines are grown in the hospital's own garden spread over 35 acres. This is a famous pilgrim centre on the way to Kattappana.